Why seek out educational technology? We know that technology can enhance the teaching and learning process by providing unique opportunities. However, we also know that adoption of educational technology is a highly complex process. There are several levels of execution that need to occur. It requires knowledge, expertise and experience. Educational technology can be very challenging to implement. There are many possible barriers. For instance, equipping schools with technology can be expensive. Also, teachers will sometimes be resistant to technology adoption. Additionally, parents may see technology as a diversion from academic learning. These are just a few of the issues that may need to be addressed. However, we believe that educational technology has great potential. It can foster creativity, boost motivation and increase engagement. Does the technology facilitate a deep understanding? How easy is it to use the technology? How to adopt? How much does it cost? Is it affordable? Is the benefit worth the cost? These are just a few questions we should think about. This article focuses on planning. Why do we need planning? What kind of elements does planning entail? 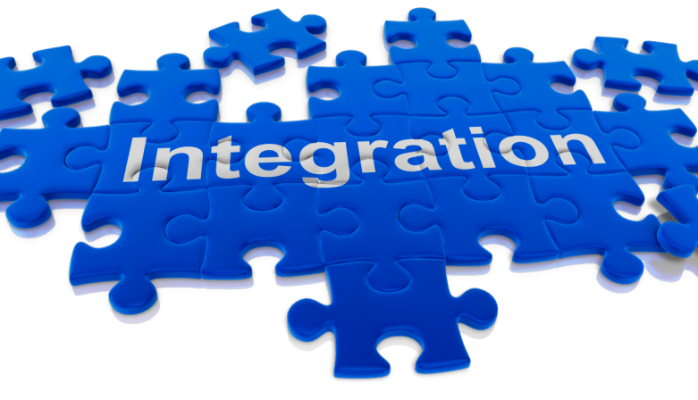 What steps are necessary for planning technology integration? What types of issues should be considered when planning for educational technology? Lack of effective planning may cause problems. Having a vision and a plan for the implementation of educational technology integration is key to well integrated educational technology. Strategic planning for technology adoption requires visionary educational leadership skills. The planning phase is of major importance in technology integration. For instance, it can ensure that money is spent more efficiently, help to better allocate existing resources and time, or it can facilitate collaboration among stakeholders. In an increasingly technology-rich world, educational institutions are faced with the significant challenge of equipping students with the skills and knowledge required to adapt to the ongoing technological innovations of the 21st century. In one sense, these institutions are already becoming technology-driven to a large extent, as they adopt resources such as computers, customized software programs, network communications systems, and other equipment designed to facilitate both administrative and teaching processes. While technological resources have now become commonplace in the daily routine and management of schools, their smooth integration into the educational setting necessitates careful planning. An implementation plan must not only be realistic and practical, but must also take into account the actual “real life” needs of those who will be involved in the school itself. In other words, the planning process should include all of the stakeholders involved. And in fact, stakeholder involvement has been shown to be an invaluable factor in successfully integrating and executing the plan. Because the completed plan will specify what is taught and how, as well as which technologies resources will be needed, the initial focus should be on how to integrate the chosen technologies into the educative program. For that reason, one of the first steps should be to clarify specific instructional goals. At the same time, the plan should also specify the goals of the institution itself, with a view to how technology can be used to enhance leadership and encourage the creation of innovative approaches. Another factor that assists in technology integration is a comprehensive plan that addresses the use of technological resources. More than simply sketching out a sequence of events and the desired results, this part of the plan should spell out the school’s fundamental philosophy concerning the use of technology, as well as provide some guideposts with respect to further avenues of exploration with respect to how technology may be employed in additional ways to improve the educative process for both teachers and learners into the future. For instance, in the United States the majority of school districts have been using technology plans for several years, as have many individual schools. These generally include a number of elements, such as planned future acquisitions of hardware and software, provisions for both technical and instructional support, wireless capabilities, and plans for training and professional development. For better or worse, if often seems that school administrators are expected to wear a number of hats comfortably, as problem solvers, role models of best practice, consensus builders, innovators, and visionaries. And these expectations hold just as strongly when it comes to the integration of technology as well. It is worth remembering, however, that the successful integration of technology on any scale, whether it be institution-wide or in a single classroom, depends quite significantly on having the support of every party involved, including school boards, district-wide administrators, and site administrators.